Editors Note: This is a guest post from Michael Lombard. And Buckeye fans please forgive me… I’m sure this is probably some type of college football sin to allow a post such as this on this blog! Go Bucks! I’m still a little stoked from seeing my Gators take care of business last night and wrap-up their 2nd BCS Championship in the past three years. This has inspired me to discuss what I think is the secret to the Gators’ success–their head coach, Urban Meyer, who I believe to be a Lean leader (don’t tell anybody). As a UF alum and lifelong football die-hard, it’s no surprise that I follow Gator football closely. In particular, for the last four years I’ve paid close attention to Meyer’s leadership style. Some coaches are yellers (like Chucky, err, Jon Gruden), some are manipulators (think Bill Parcells), and some are evil geniuses (Bill Belichick anyone?). But not Urban Meyer. He’s a Lean thinker. Case in point: even after winning his first BCS Championship two years ago, he said he felt uneasy because his program wasn’t where it needed to be. He had a “great team but a bad program,” in his words. He said this because although his team was stacked with talent from a monster recruiting class that his predecessor had landed, half of these players were seniors or would leave early for the NFL, leaving him with a weak team the next year, and he was right. He didn’t want up & down cycles like that. He wanted to level it out and recruit balanced classes each and every year, so he could achieve balanced results each and every year. Sounds like heijunka to me. More importantly, it sounds like long-term systems thinking instead of short-term manage-by-results thinking that plagues coaches and businesses everywhere. Meyer’s Lean leadership style is also reflected in the types of players he recruits. Like Toyota, he seeks out talent that’s more flexible than the competition. Yes, there’s always a need for deep functional expertise in both Toyota’s engineering departments and on the Gators’ roster, but both of these organizations place a premium on flexibility. 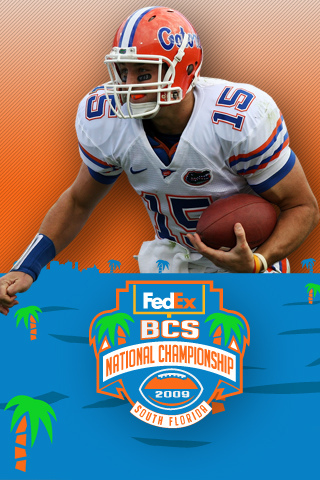 Look at the Gators’ QB, Tim Tebow. He’s not the most accurate passer (but he’s accurate), he doesn’t have the strongest arm (but he gets it there well enough), and he’s not the fastest runner (but he’ll run a linebacker over in a heartbeat). However, add up all his skills and you have a well-rounded athlete capable of doing whatever it takes to score points (he’s also a tremendous person). Because of Tebow’s (and his teammates’) flexibility, the Gators can run a wide range of plays out of their spread-option offense. This allows them to plan different schemes for different defenses and to make mid-game adjustments as needed. Toyota has the same type of advantage in developing new products and refining processes because they have a deep bench of well-rounded engineers and operators. Also, Urban Meyer is well-known for being one of the most hands-on coaches in football, especially with his Special Teams (kickoff, kick return, punting, punt return, etc.). Meyer is personally involved in every aspect of Special Teams, showing that he’s not afraid to “go to the gemba” and become deeply knowledgeable of the smallest details of the work. And think of the awesome message that this must send to his coaching staff and players—“If the head guy’s not afraid to get his hands dirty, then I better be filthy dirty out there on the shopfloor.” This is a staple of any Lean culture (think of the Ohno Circle). Okay, I think I’ve rambled on enough here about Urban Meyer and the Mighty Gators (did I mention they’re the national champions again this year?). My hypothesis should be clear—I think Urban Meyer is a Lean leader and will produce Toyota-like results for years to come. In true PDCA fashion, we’ll have to check back this time next year to verify results (I feel confident though!). About the author: Michael Lombard is a lean thinker, “treehugging capitalist”, and a wannabe project manager currently working for Palm Harbor Homes, Inc. You can find him on Twitter as mglombard, or view his LinkedIn profile here. I think there’s an Mark Mangino joke somewhere missing from your post. I’m new to the lean philosophy, but if what you are saying is that Urban Meyer is the greatest coach in all of college football then I wholeheartedly agree. As I have already demonstrated with my significant girth, being a Lean guy (capital L) is not the same as being a lean guy (lowercase L). I’ve heard that joke wayyyyyyy to many times. And as Urban Meyer goes, he is a great coach. I believe he is so successful because he applies the same thinking style to his football operations as Toyota does to their business operations. For a newcomer to Lean thinking, here’s the one-line summation: Respect for the human ability to generate improvement, and a constant focus on eliminating waste in all forms. As a recruiter, Meyer looks for players who are willing to learn and improve. As a coach, Meyer focuses on eliminating needless mistakes in the less appreciated phases of the game. Lombard- I am surprised that you failed to mention how Meyer recognizes his key players “employees” by using creative methods. He has what is know as the Champions Club for players who exemplify what a student athlete should be. He also places a premium on the guys who play special teams by allowing them to eat first at team meals and giving them the newest gear/equipment first. He is an extremely creative guy when it comes to keeping his guys motivated. Jeesh, I am not sure how much more of this Urban love fest I can stand! Ha! Just kidding all… you guys have a right to feel proud of your coach. He’s a good man and Tebow is a good kid. Great post Mike! I think you will find much the same results (two in in row?!) when you check back next year, especially now that Tebow will officially play his senior year. Thank you Jeebus for Tim Tebow and Urban Meyer. What about Billy Donovan? Would you classify him as a lean leader? Congrats to the Gators for winning another title. You’re right about UM being lean….I guess most coaches aspire to lean leadership now that I think of it. But very few coaches get the talent pool of UF, so they’re forced to deal with specialized role players, and short-term success at any cost. Much like Toyota, what flows down from the top, in leading lean usually takes you to the top and keeps you there. Obviously, Meyer is a key component of that success and truly depicts the cultural and people side of lean leadership. Unfortunately for my beloved Sooners, we keep getting to the big game but not winning. It reflects that some processes, although consistant, may not be the best ones to set you apart like Toyota or Florida. Congrats to the victors and two in a row looks more than possible for next year.